The Insulspan SIP System is the most trusted and recognized brand in the industry—a definite leader. Our reputation is important to us. It’s built on our high quality products and the advantages of SIPs. Just as important? Our reputation directly builds on relationships. This is because we focus on a comprehensive system approach to you — and your project. We commit to superior products and dedicate ourselves to a partnership with you. Working directly with you, our experienced team of sales representatives, engineers, designers, manufacturing experts, and technical installation specialists assure your project runs smoothly from beginning to end. From the accuracy of your detailed SIP construction drawings to our comprehensive ready-to-assemble (RTA) system, our ultimate goal is your complete satisfaction. 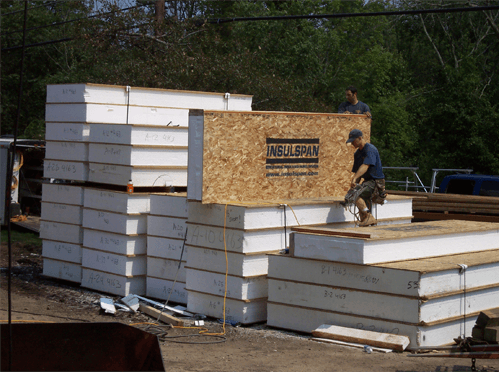 Discover the many advantages of SIPs by working with Insulspan. We are so committed to delivering on this promise, that we adopted an industry-leading Quality Management System (QMS) to address all aspects of our operation—from order placement to delivery of our end-products. Our commitment to quality allows us to offer the most comprehensive 20-year limited warranty coverage in the industry, ensuring the Insulspan product you receive will maintain the promised structural performance and R-Value.